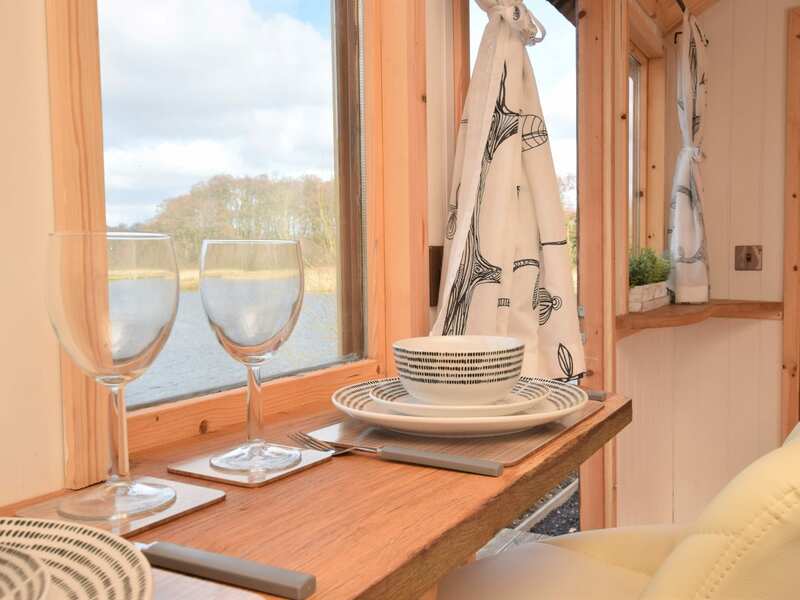 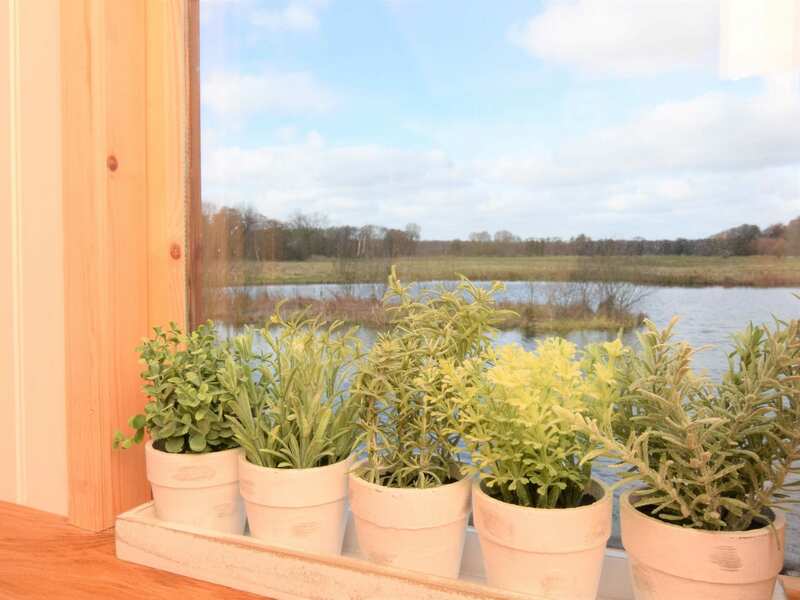 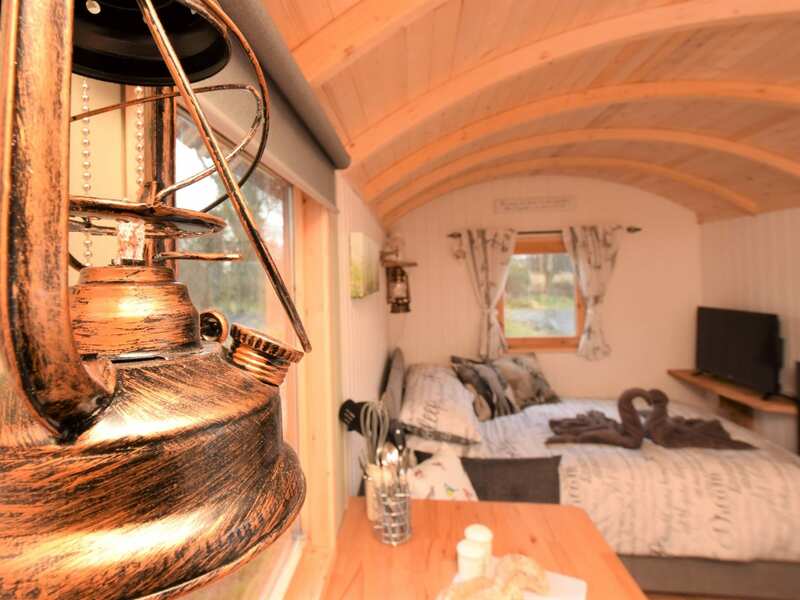 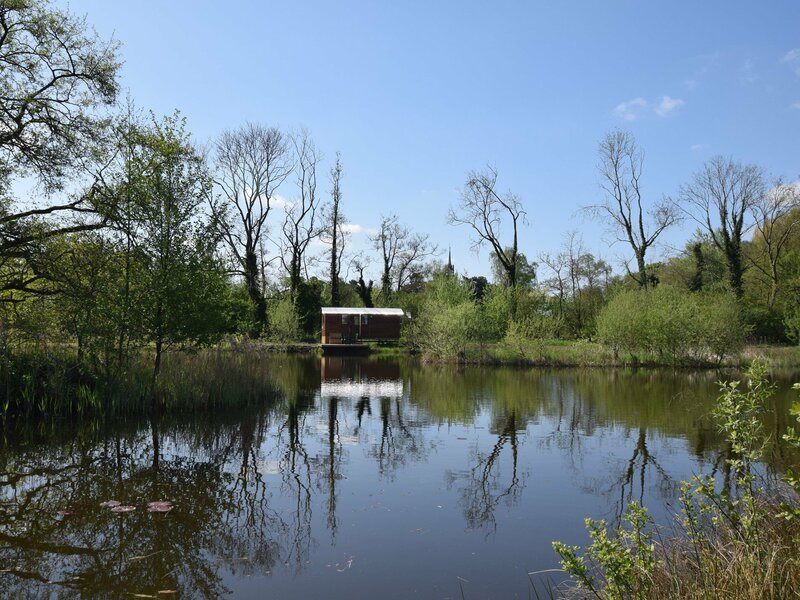 With a beautifully designed interior and stunning lakeside location this picturesque retreat is ideal for couples wishing to experience a spot of glamping with contemporary and stylish touches. 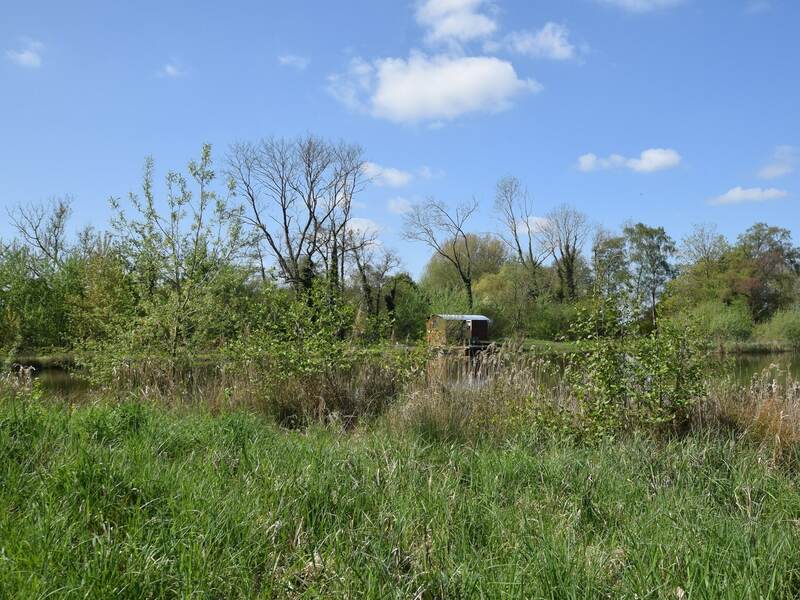 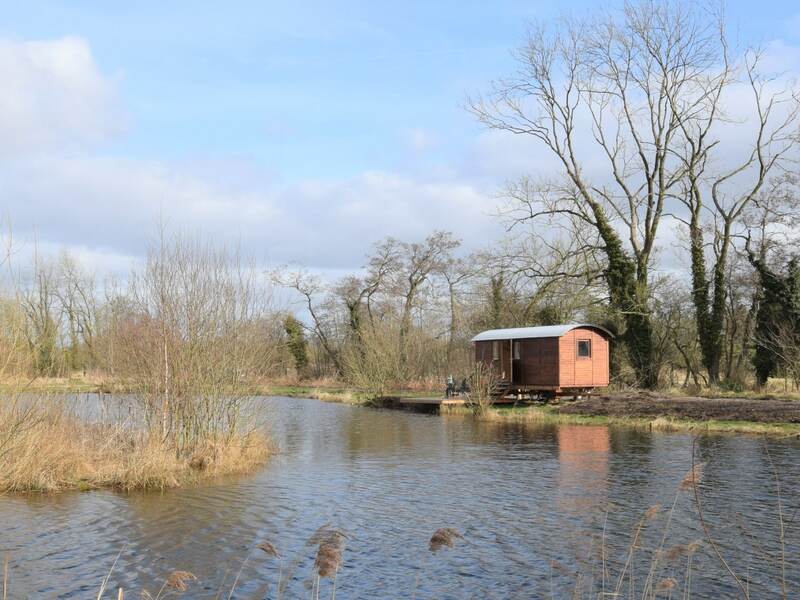 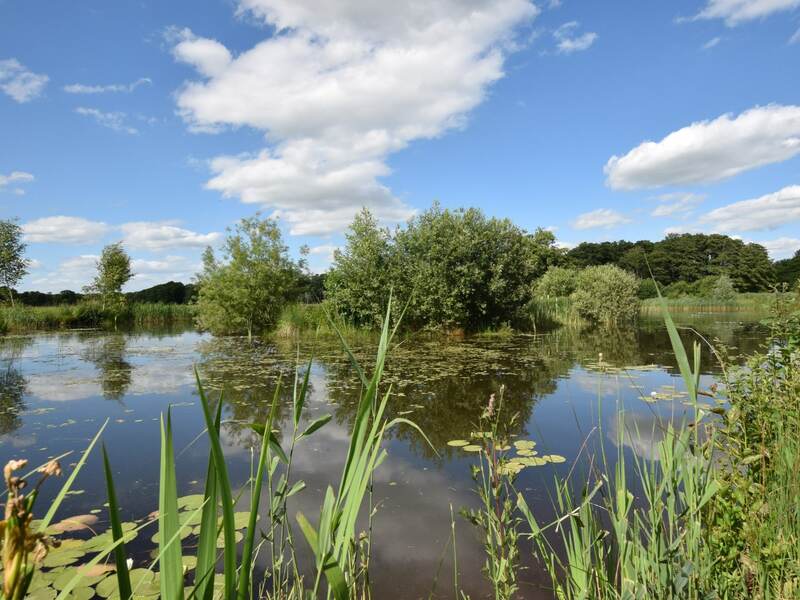 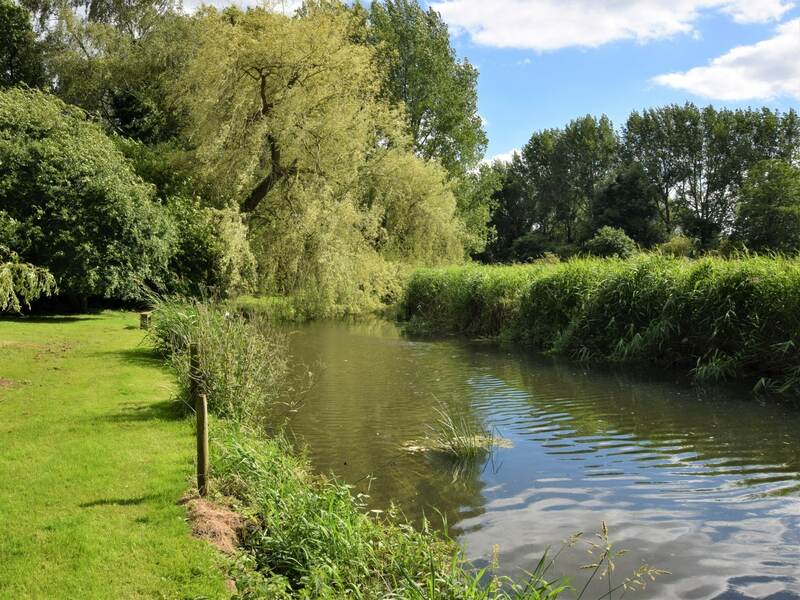 Whether it s spotting wildlife walking through the woods or angling from decking there are plenty of ways to enjoy the immediate area and should guests wish to venture further afield there are plenty of attractions to suit all tastes. 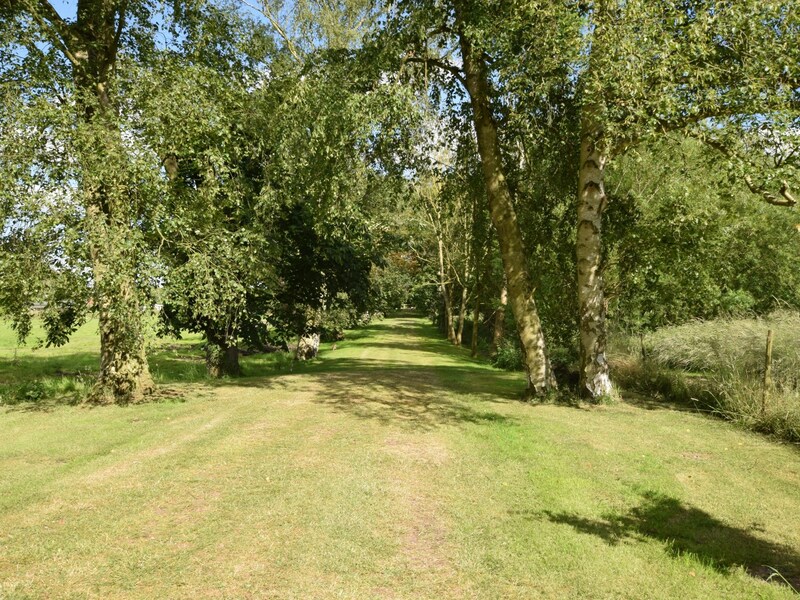 Nearby Thetford Forest offers excellent walking and cycling routes and high wire attractions for the more daring. 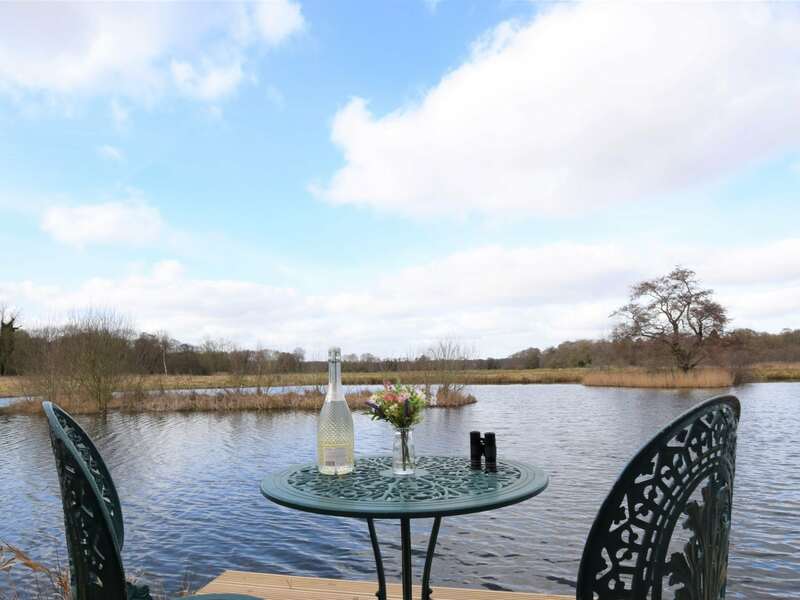 Both Norfolk and Suffolk coasts can be visited for day trips and those looking for culture will find numerous towns and villages to explore as well as English Heritage and National Trust properties. 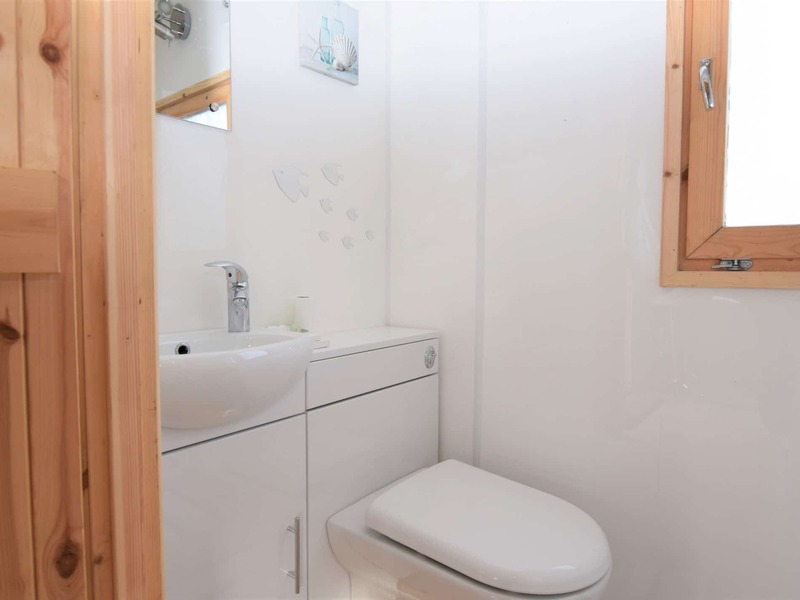 This cosy and romantic accommodation is open-plan with guests entering into the kitchen area. 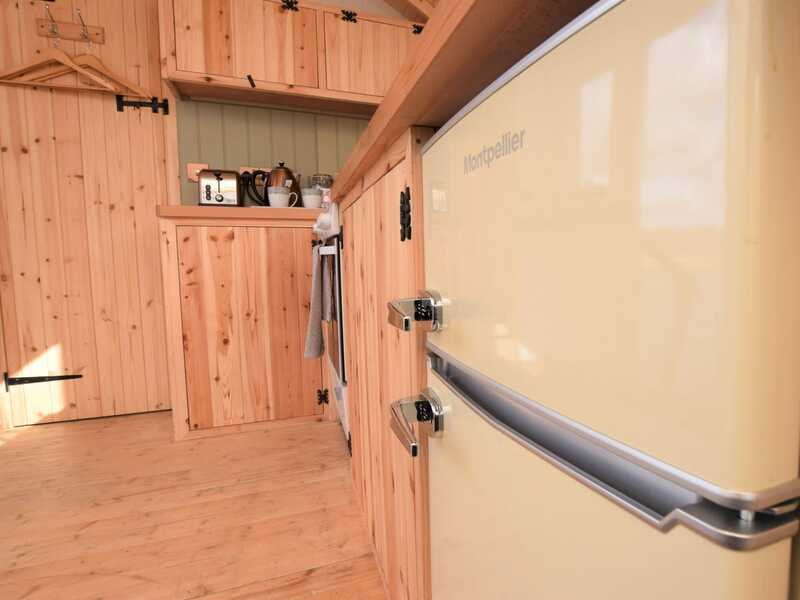 Here guests will find everything required for holiday dining including electric oven and hob microwave and fridge/freezer. 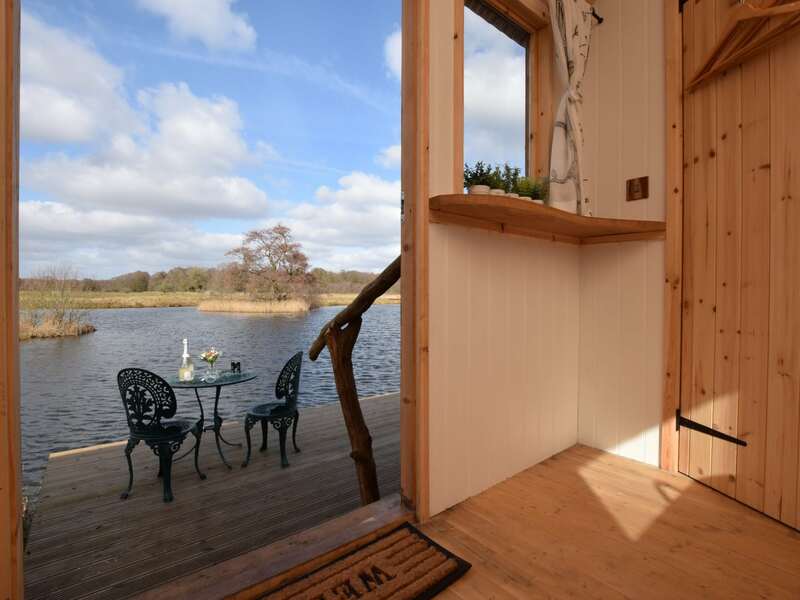 The breakfast bar with stools provides a place to dine while gazing out over the lake. 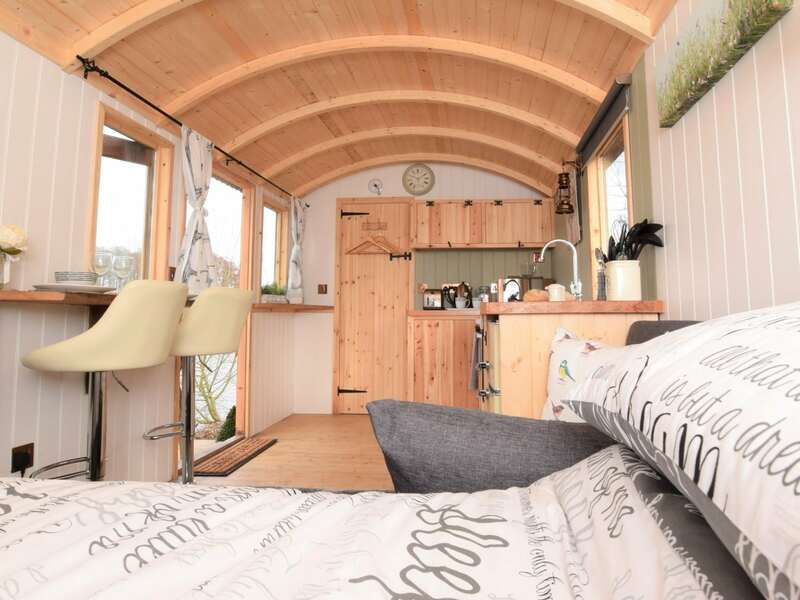 The lounge area has a sofa with the Smart TV and electric flame effect fire a fine spot to relax at the end of the day. 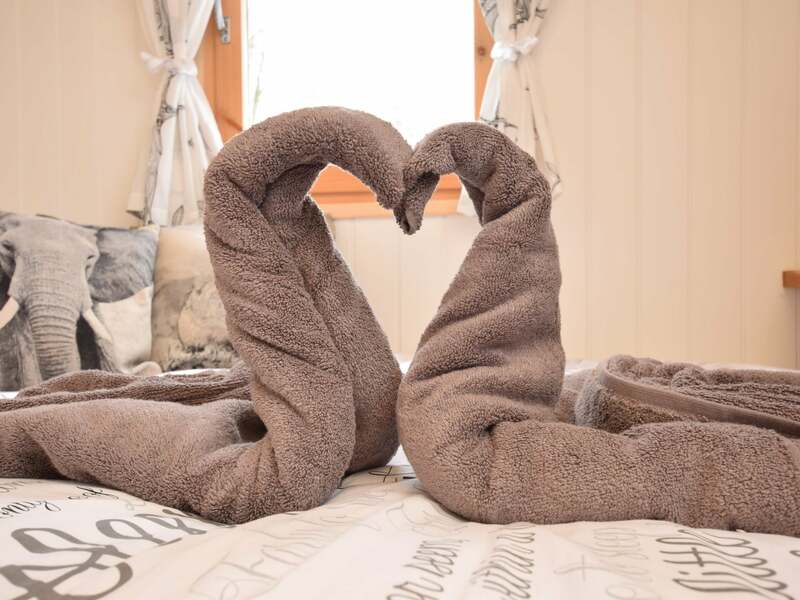 The comfortable double bed ensures a great night s sleep. 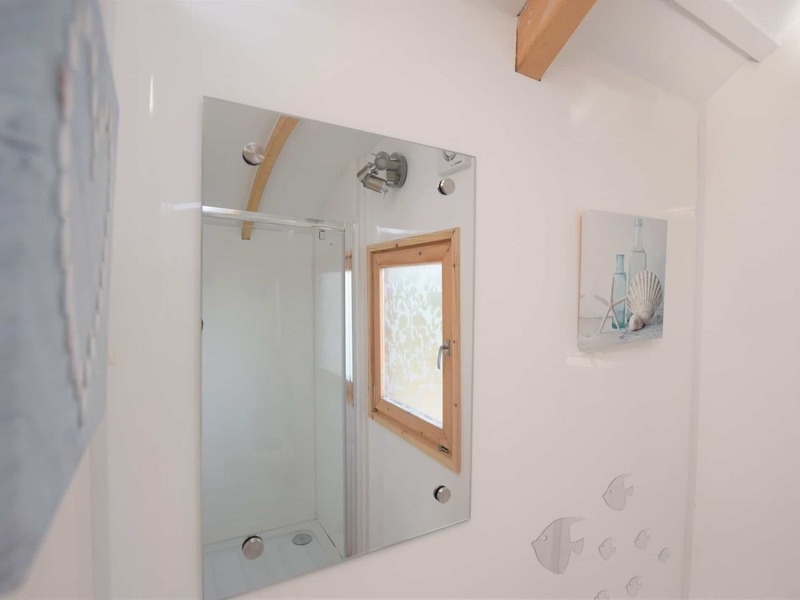 Finishing the accommodation is a door to the shower room with shower and WC. 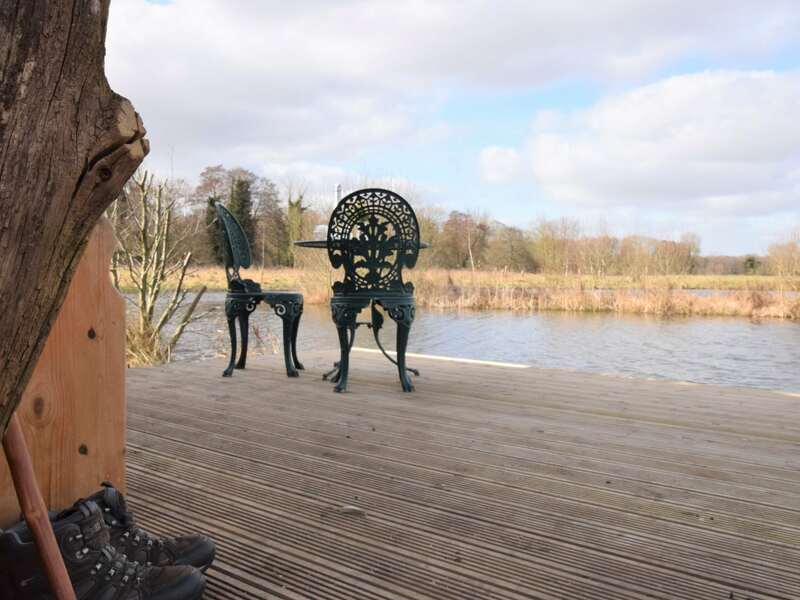 With so much nature on the doorstep much time is likely to be spent outdoors on the raised decking which extends out over the lake. 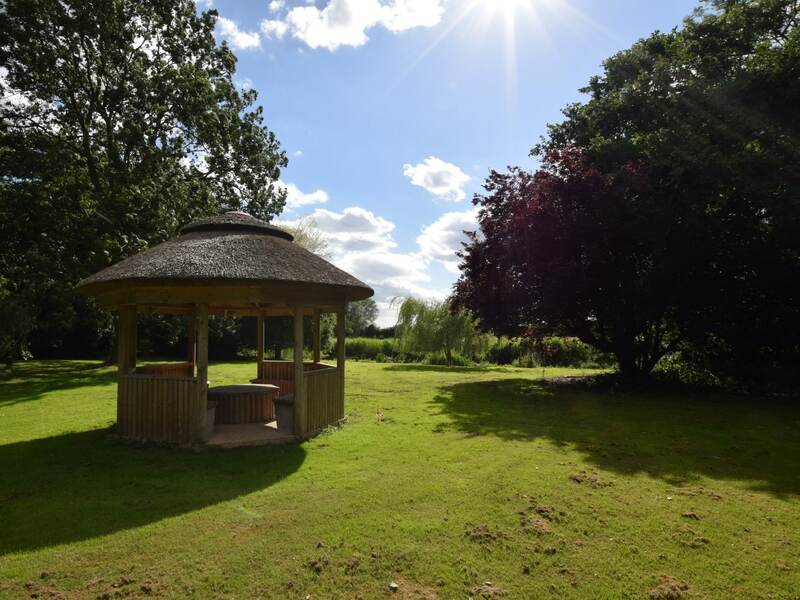 Here guests can enjoy a spot of al fresco dining making use of the charcoal BBQ and table with bench seating. 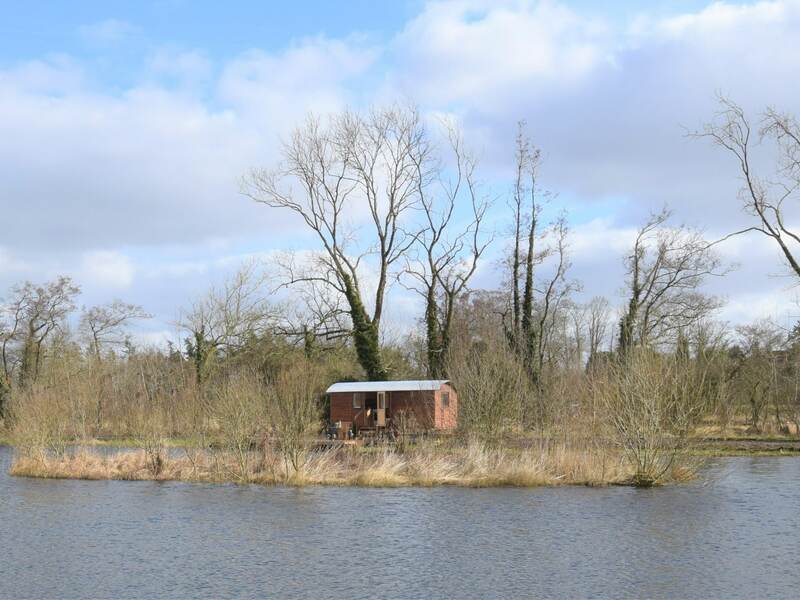 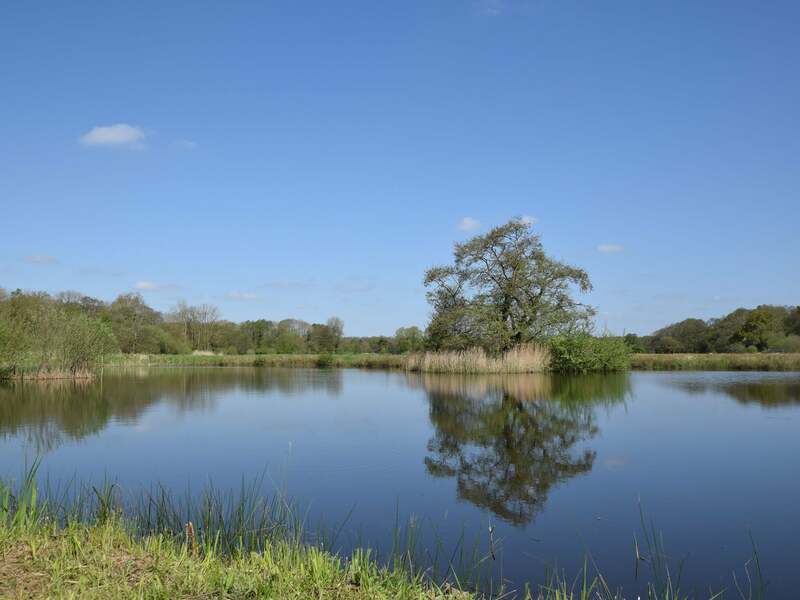 The lake itself has been stocked with variety of coarse fish should guests wish to spend some time angling. 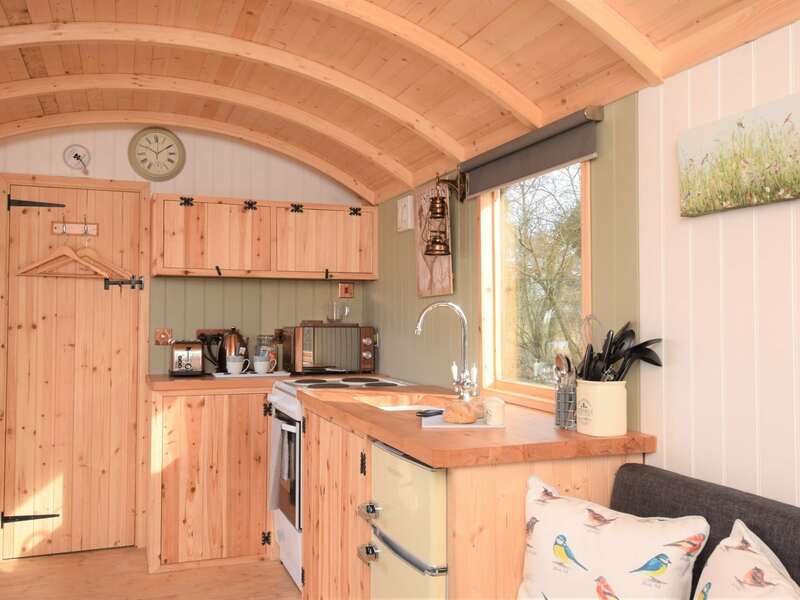 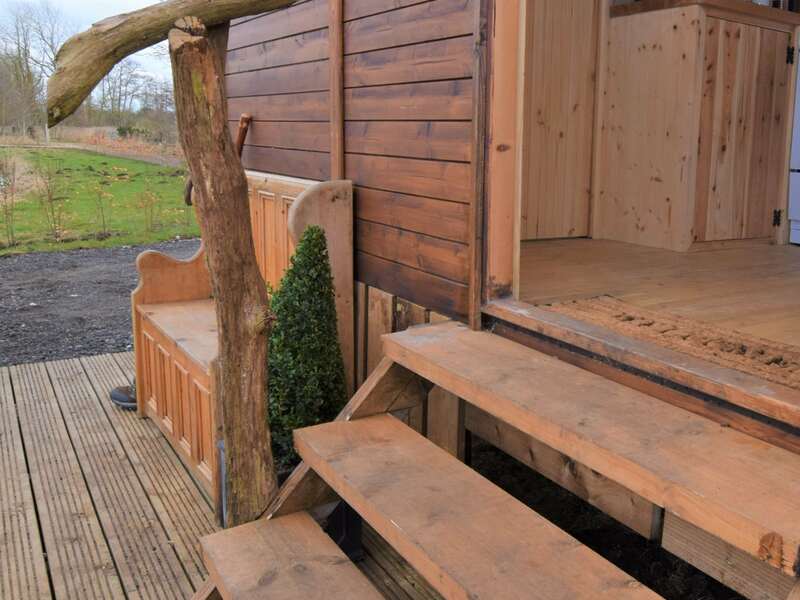 For the ultimate in relaxation there is a shared hot tub and finally there is off-road parking available adjacent to the shepherd s hut for one car.